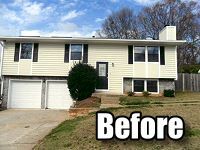 Come See this Easy Rehab Project in Stone Mountain! 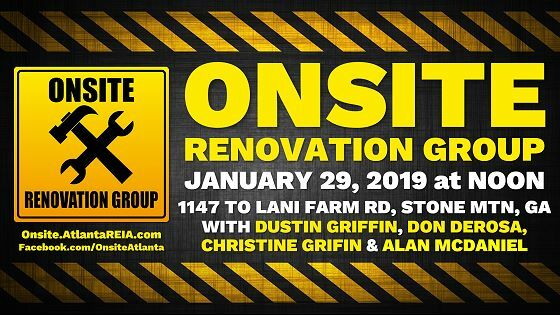 Please join us on Tuesday, January 29, 2019 at NOON for the Atlanta REIA Onsite Renovation Group (ORG) to learn all about finding, funding, fixing and flipping houses for big profits right here in the metro Atlanta area. This month’s 2nd rehab project, located at 1147 To Lani Farm Rd, Stone Mountain, GA, is “light” ($40K) rehab. This is a 3 bedroom, 2 bath, 2,170 sq ft, split level home built in 1985. At the time of purchase, the home was being used as a Section 8 rental. Chrissy Griffin and Alan McDaniel, who are managing the rehab project, are renovating the entire inside of the home. They are removing one wall in the kitchen to give the home a more open floor plan. They are sprucing up the exterior and have already put on a new roof and deck. RSVP and come check out their progress and vision for this “light” rehab.